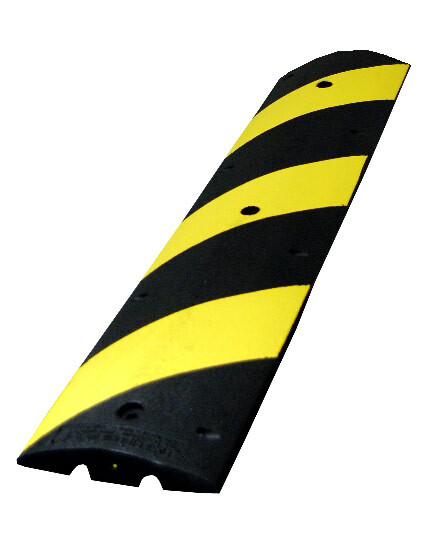 Heavy Duty Solid Rubber 4-foot rubber speed bump (No Channels). 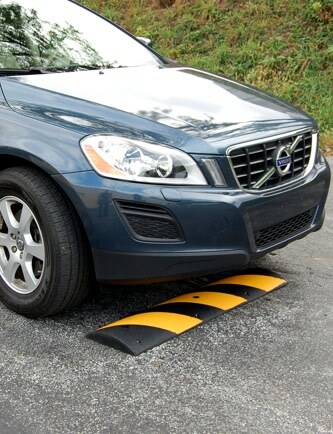 Helps reduce car speeds to 2 to 5 mph without impact to the vehicle. It's easily installed and removed thanks to recessed bolt holes. Made from 100 percent recycled tires, the strongest rubber available. An added safety benefit: there's no internal hardware. 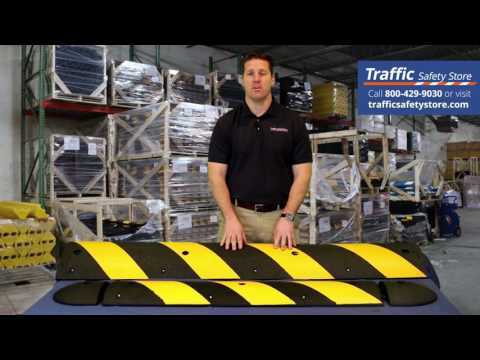 Reflective yellow stripes and cats-eye reflectors help night time visibility. 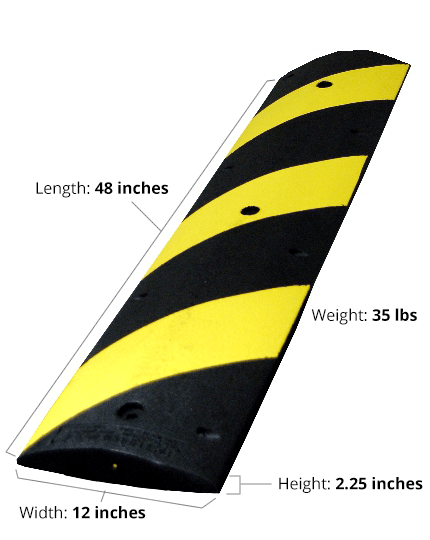 Four feet long and 12 inches wide, the highest point of the speed bump is 2.25 inches tall - with a weight of approximately 35 lbs. This is the Heavy Duty version for facilities serving commercial vehicles. Zero problems. Easy to order, delivered in a timely fashion what more could you want.